I just MIGHT be posting from the lobby of titakini's office. 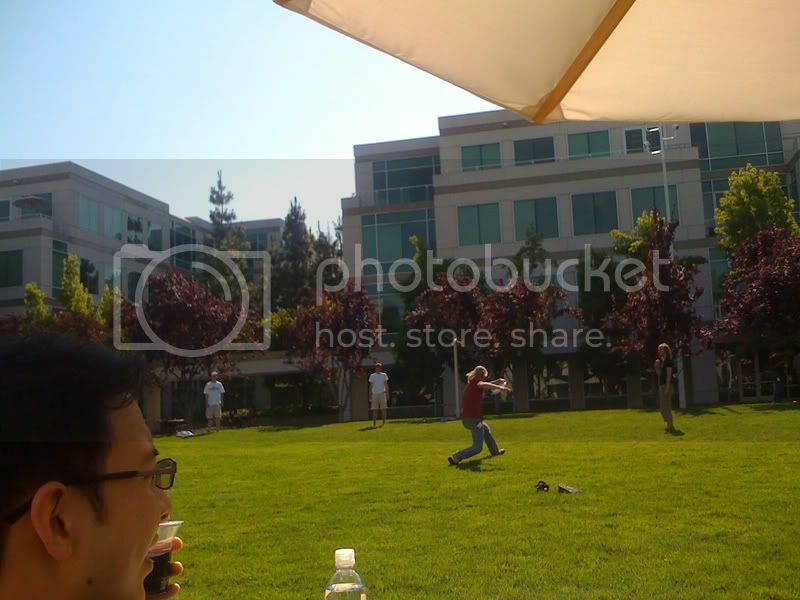 You know, one of the buildings around 1 Infinite Loop in Cupertino. Yay? I met her boss, and found an article written by him on icommunicate. Now, she has a meeting (well, from 3 to 4, but I felt like I was keeping her from getting her work done so I ran away) and then there's a beer bash sponsored by the aperture people at 4. So I'm totally going to spoil my dinner. Oh right. It's the rehearsal dinner for my cousin laura's wedding. Doh. Beer Bash??? What Beer Bash? ;-) There was a cool frisbee game in the quad too!